Tonight Alive are an Australian 5 piece pop-punk band from Castle Hill, New South Wales. 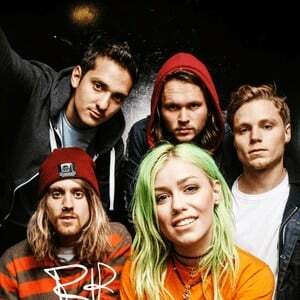 The band consists of bassist Cameron Adler, guitarist Jake Hardy, vocalist Jenna McDougall, drummer Matty Best and guitarist/vocalist Whakaio "Whak" Taahi. Forming in 2008, the band worked up a strong following in Australia's pop-punk scene, playing shows with bands such as Fireworks, Heroes for Hire and The Wonder Years; before gaining a substantial international profile through extensive touring of North American and Europe.